Tree People is distributing Rain Barrels at Showcase Central, Grand View Elementary School. You must order your rain barrel in advance by April 24th at www.RainBarrelsIntl.com under the EVENTS tab for TreePeople. 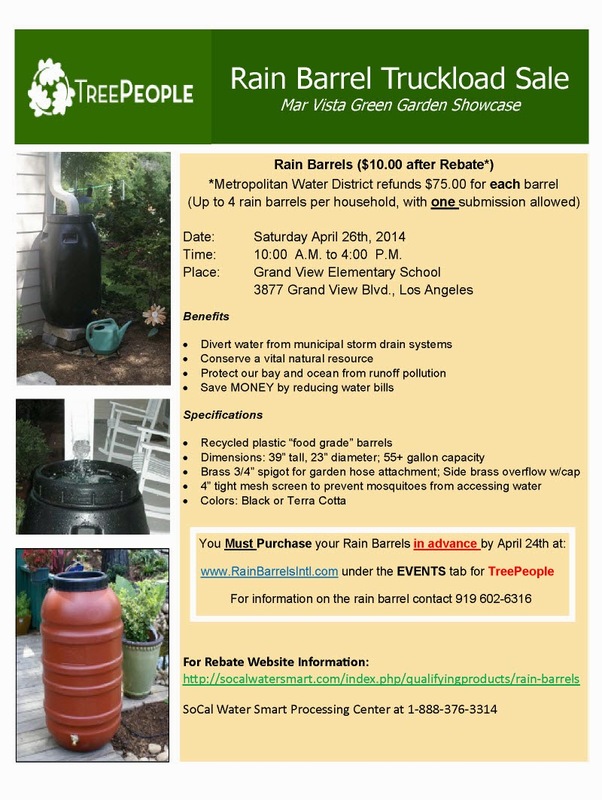 The Metropolitan Water District refunds $75 for each barrel - up to 4 rain barrels per household.